Seattle restaurateur Steven Han has a new project in the pipeline, and it has nothing to do with food. Behind Momiji, Girin and Ume Sake House, Han’s latest venture is the construction of four rowhouses and four townhomes at 111-115 26th Ave. E. in Madison Valley, which he’s developing with his business partner Lawrence Yeh. Han purchased the property for $1.9 million in February 2016, where a single-family residence has been demolished and construction has started on the rowhouse/townhomes development, which is being called The Arkitektor. While property records show Han as the owner at 115 26th Ave. E., Pride only told the Madison Park Times that the owners are restaurateurs and that their background plays into the Asian influence of the new development. 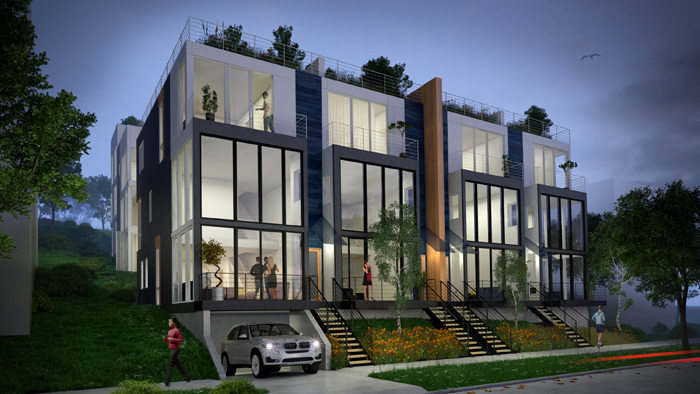 The three-story rowhouses will face 26th Avenue East, with stoops, private entries and steel canopies, said Jonathan Lemons with Lemons Architecture. The first level is double-height, and the exterior is framed in brick. Pride added the homes will have enviable kitchens as one of the main focuses, something the restaurateur developers desired in their first project. 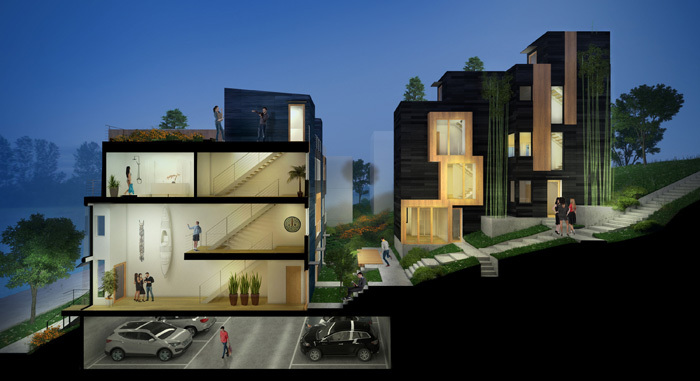 The rowhouses will be divided, two on both sides of a decorative wood fin, with hardy board on the top and concrete, steel and large vertical windows below. Pride said the townhouses will feel more traditional. The townhomes will be organized around a bamboo garden, the bamboo expected to grow up to 30 feet tall, Lemons said. “(The owners) love bamboo and those are really large, almost six to seven inches in diameter — they’re like trees,” Pride said. There will also be 12 below-grade parking stalls. Construction completion is expected in August, and presales are likely to start in June, Pride said. For more information, go to carlenepride.com/111-26th-ave-e or contact Pride at carlene.pride@rsir.com.